Here are five glaringly obvious reasons for the Houston Texans to clean house. Following a Week 1 home drubbing at the hands of Jacksonville and a less-than convincing Week 2 win in Cincinnati, the Texans are finally being exposed for the frauds that they truly are. Houston has looked like one of the NFL’s biggest dumpster fires through two games. The Texans can be given some leeway due to injury woes to start the 2017 season, but they won’t be let off the hook that easily. They’ve only suited up three healthy wide receivers in each of their games. Along with the injuries at tight end and the offensive line debacle, fans still have yet to see the Texans at full strength. Alas, the problems are deeper rooted within the system. The issues in Houston bleed into the front office and it’s been that way for years. Although the Texans show glimpses of an elite franchise at some points, there’s always a bigger problem brewing. And the even bigger matter? Nobody is doing a darn thing about it. First and foremost, the Texans need to make up their mind. One moment, the organization prides itself on being the cleanest team in terms of reputation and crime. And the next, not so much. For this reason, the Texans have missed out on the opportunity to sign some very talented players over the years. Players that could have helped push the team over the top. However, the team chose to steer clear of the criminals (for lack of a better term) and stick to a clean image. That’s all fine and dandy, but fans are tired of the Texans being inconsistent with punishments. Most recently, Brian Cushing is the topic of discussion. 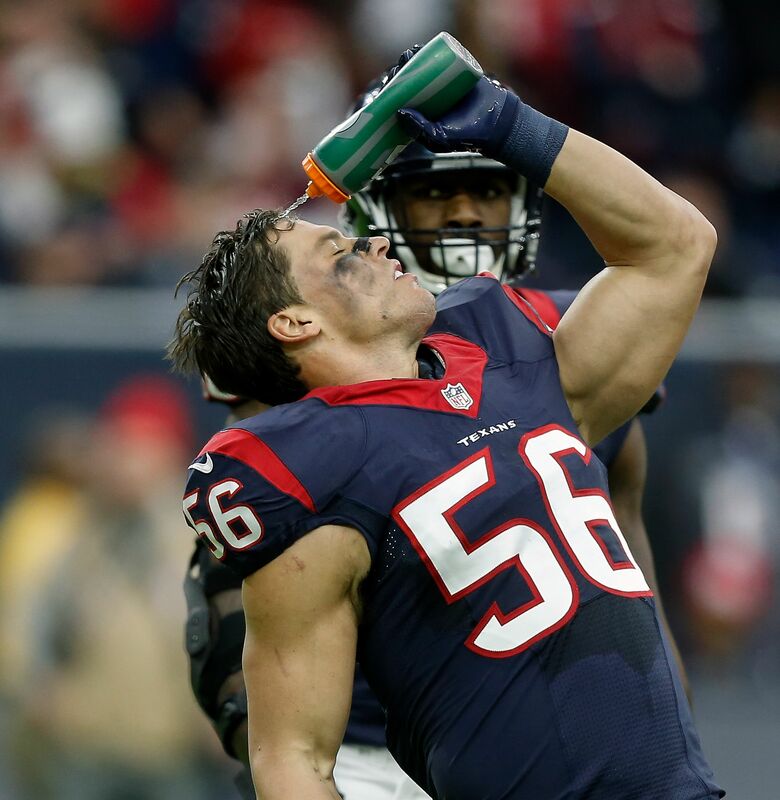 Cushing was suspended by the NFL, yet again, for the use of PEDs. The veteran linebacker is suspended 10 games without pay, as this is his second suspension from PEDs. Keeping Cushing after one suspension, fine, that’s okay as he was one of the team’s best defensive players and vocal leaders. But, two? Nuh uh. Release him. If the Texans truly had the ‘zero tolerance policy’ they claim to have, Cushing would already be gone. Especially since the talk of him not making the final roster cut escalated during the off-season. The most hypocritical situation of all stems back to 2013, however. In October of 2013, the Houston Texans cut rookie Sam Montgomery along with two others for marijuana use at a hotel. However, when Jaelen Strong was arrested for the use of pot in February 2016, the Texans didn’t even bat an eye. Same with rookie D’onta Foreman’s latest arrest on weapon charges. Ultimately, if the Texans are going to pride themselves on having a clean reputation, have a clean reputation. That’s not to say they’re quite at the level of Dallas right now (nor will they ever be), but the point still stands.